Former Minister of Finance, Kemi Adeosun. I have been meaning to do a thread on Kemi Adeosun for a while now, as I considered her to be the most reform-minded Minister in the current government. We will get to that later but let’s first deal with the NYSC saga that led to her resignation. Let’s start with the Kemi Adeosun resignation letter. She said that she had become privy to the findings of the investigation into the allegation by Premium Times that the NYSC Exemption Certificate she presented was not genuine. She said she was shocked by the findings. We are not yet privy to the findings of that investigation but it is safe to assume that the investigation determined that the Exemption Certificate she presented was not genuine. She therefore felt that she had no option than to resign. I hope that government will publicise it. Mrs Adeosun said in her resignation letter that she did not obtain a Nigerian passport until she was 34 years old & she admitted that there was a debate as to whether the NYSC Act applied in her case. She was born & raised in London. NYSC admitted that she applied for exemption. She also said in her resignation letter that she was cleared by the Ogun State House of Assembly when she was appointed Commissioner of Finance in 2011 and by the DSS and National Assembly when she was appointed Minister of Finance in 2015. This raises a number of questions. First, the NYSC Act is clear on who is entitled to an exemption and the process for getting it. Section 2(1) of the NYSC Act of 1993 lists the categories of people that could be entitled to an exemption from national service. It was always unlikely that she would qualify. People older than 30 when graduating from university, polytechnic or college of education. She didn’t qualify here. People that had served in the Nigerian Police or armed forces for at least 9 months. Not applicable. Staff members of the Defence Intelligence Agency, NIA, Nigerian Security Organisation or DSS. This was possible as she may have been recruited as a secret agent while at university. This is known to happen. That’s why it was prudent to await the outcome of the investigations. Holders of National Honours. We are not aware of any national honours she is a recipient of. Anybody granted a waiver by the National Defence and Security Council. Again, we did not know whether she was so exempted, so it was prudent to await the investigation results. You must submit your credentials. So, in effect, you apply. Mrs Adeosun applied. Those that say you cannot apply for an exemption are wrong. You must physically register in person at NYSC HQ in Abuja. If granted an exemption, you must collect the Exemption Certificate IN PERSON at the NYSC HQ in Abuja with an accepted photo ID, preferably an international passport. Mrs Adeosun said her Exemption Certificate was obtained by “trusted associates.” If true, this was wrong. Now, let’s go to what usually happens. First of all, people with dual citizenship that come back to Nigeria to work as “expatriates” are often not asked for their NYSC Certificates. They work as foreign nationals and leave. I believe that this was the case in her first job here. Then when there is a possibility of getting a government appointment, the issue of the NYSC Certificate comes to the fore. Many people from abroad believe that there’s always a way around things in Nigeria. They approach NYSC but meet a brick wall. They tell them they must serve! So, there’s an important government appointment looming. Do you serve and lose it or not. Many will resort to “trusted associates” who will tell them “We can find a way round it but it will cost you a lot of money.” Most people will pay. I suspect that that is what happened here. So, a “trusted associate” obtained an exemption certificate that was not genuine. Some have expressed sympathy for Mrs Adeosun in this regard, but she is an intelligent woman who should have known she did not qualify under any of the exemptions listed in the NYSC Act. Many have also used the opportunity to attack the continued relevance of the NYSC scheme. I will not get into this now because the law is the law until the law is changed. If we don’t like it, we should change the law. Ignorance of the law is never a defence in law. Red herring. Even Senior Advocates of Nigeria have admitted to obtaining things like Yellow Fever Certificates and Drivers Licences that they are not sure are genuine. They should know better. Unless Mrs Adeosun went through the process and collected it IN PERSON from NYSC, it’s a moot point. When the scandal first broke, I said that because of difficulties of record keeping in the public service, I expected it to take NYSC some time to unravel the matter. Some attacked me for saying so, but from the Minister’s resignation letter, it’s clear it took quite a while. Some people used the opportunity to sell Electronic Document Management Systems and “Blockchain” technology, conveniently temporarily forgetting their disdain for any expenditure on the “useless” public sector where all spending must focus on “tangible” physical infrastructure. The Senior Advocate of Nigeria responsible for advising the government on Anticorruption is also on record as saying Mrs Adeosun shouldn’t be sacked because “she is an important member of cabinet who is doing well.” This was disappointing. Doing well at your job is no defence. Full implementation of the Treasury Single Account. When the TSA was piloted under the previous government, it saved the government N103 billion between 2010 and 2013. With full implementation from 2015, TSA had saved the government N7 TRILLION as at April 2018! Argue with facts!! Voluntary Asset and Income Declaration Scheme (VAIDS). This raised the number of taxpayers from 13 million in 2015 to 19.3 million in 2018. Efficiency Unit of the Federal Ministry of Finance saved the government N34 billion in Travel and Transport alone in 2017 compared to 2016. Efficiency Unit saved the government N24 BILLION on Stationeries and Consumables in 2017 alone compared to 2016. Mrs Adeosun instituted the 22 conditions for states to get bailout funds which improved fiscal responsibility. Admittedly, this wasn’t perfect and needs more work. The Development Bank of Nigeria was established and made operational. 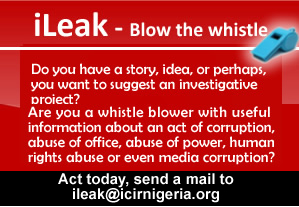 The Whistleblower Policy led to the “blowing of 8,000 whistles”, which has led to 10 prosecutions, 4 convictions and the recovery of N14 billion. N440 million has been paid out to 14 people as a result. Linking the BVN to the government IPPIS (Integrated Personnel and Payroll Information System) Payroll System has seen the uncovering of nearly 50,000 multiple salaries. These are not ghost workers but public servants collecting multiple salaries. In one case, one public servant was collecting 20 salaries! Mrs Adeosun instituted the Presidential Initiative on Continuous Audit which sought to clean out the personnel records of government Ministries, Departments, agencies and parastatals. Ironically, it exposed many people with fake degree certificates who were shown the door. The linking of BVN with IPPIS meant that, for the first time, we are able to identify who is benefiting from the creation of ghost workers. We now know who is collecting the salaries. More than 100 people are now being prosecuted by the EFCC for benefitting from ghost workers. Let’s now go to the issue of the clearances she had previously received. First of all, State Houses of Assembly are in the pockets of state governors. The Ogun State House of Assembly dared not question whatever the governor wanted. They wouldn’t have checked anything. Proof of this is that the Vice President, as Acting President, initially appointed someone who was under investigation by ICPC into the ICPC Board. The DSS should have known this. This only happens when the bureaucracy of the civil service in the SGF’s Office is bypassed. I believe that then screening by the National Assembly follows the same pattern. They don’t check back with the issuing authority & rely instead on the DSS. Some have alleged that NASS was aware that Kemi Adeosun’s Exemption Certificate was fake and was using it to blackmail her. I think that this overestimates the capacity of the National Assembly, UNLESS someone had blown the whistle. I also think that the allegation that she was being blackmailed is likely to be far-fetched for two reasons. She is not responsible for Appropriation. That is MBNP. NASS’s money is a first line charge which is outside the control of the Minister of Finance. The only issue within her control is release of funds for “Constituency Projects” already appropriated for. I don’t know about blackmailing her for that one but I think it’s unlikely. Nigerian citizens with dual nationality working in Nigeria without NYSC. The control of state governors over State Houses of Assembly. Record keeping in the public service. Speed of response to allegations by the government. Confidence in the anti-corruption fight, with particular regards to the people advising government. Building the confidence of the people. Going forward, it would be helpful for the government to address these, so that positive steps being taken in some areas are not undermined by inefficiency in operations, tardiness in response and perceived double standards. Some things DO work in Nigeria. We need that hope. This article by Dr Joe Abah, former Director-General of the Bureau of Public Service Reforms (BPSR), was originally published as a Twitter thread.